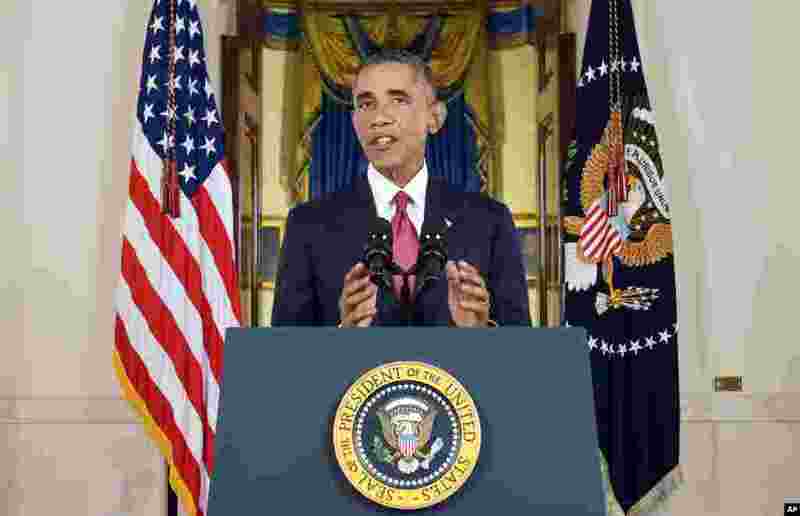 1 President Barack Obama addresses the nation, ordering the United States into a broad military campaign to “degrade and ultimately destroy” Islamic State militants, Washington, Sept. 10, 2014. 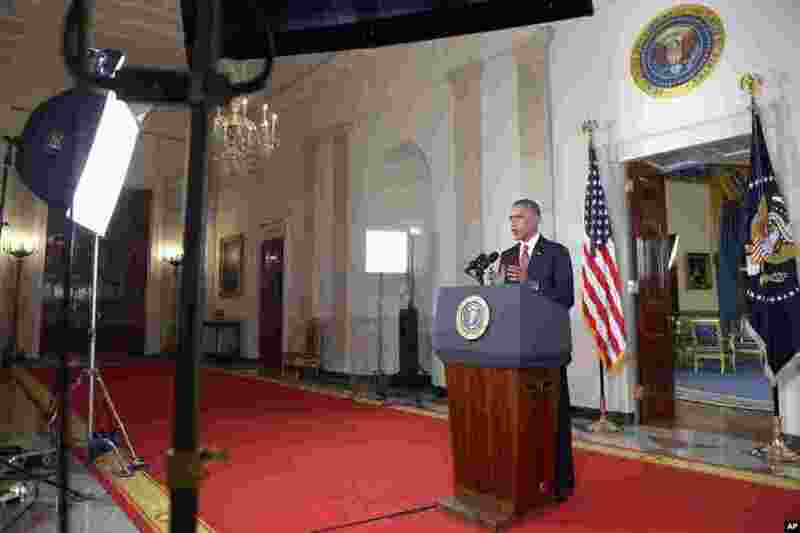 2 President Barack Obama addresses the nation from the Cross Hall in the White House, ordering the United States into a broad military campaign to “degrade and ultimately destroy” Islamic State militants, in Washington, Sept. 10, 2014. 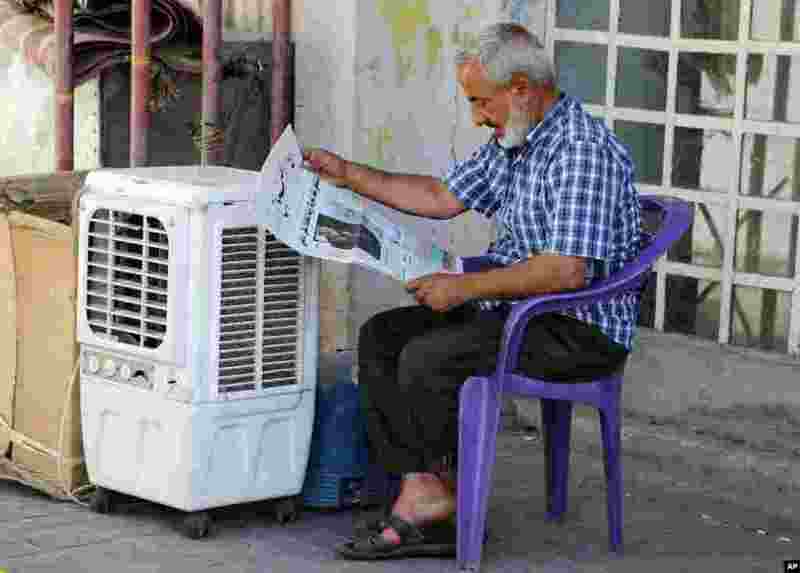 3 An Iraqi man reads a newspaper with front page headlines reporting U.S. President Barack Obama's plan to battle Islamic State militants, with an accompanying photo of Secretary of State John Kerry's visit, in Baghdad, Sept. 11, 2014. 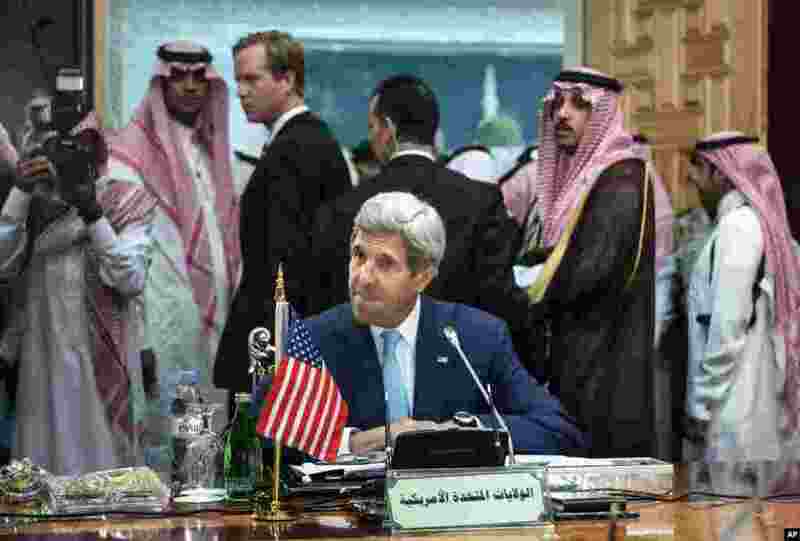 4 U.S. Secretary of State John Kerry waits for the start of a meeting of the Gulf Arab region, in Jeddah, Saudi Arabia, Sept. 11, 2014. 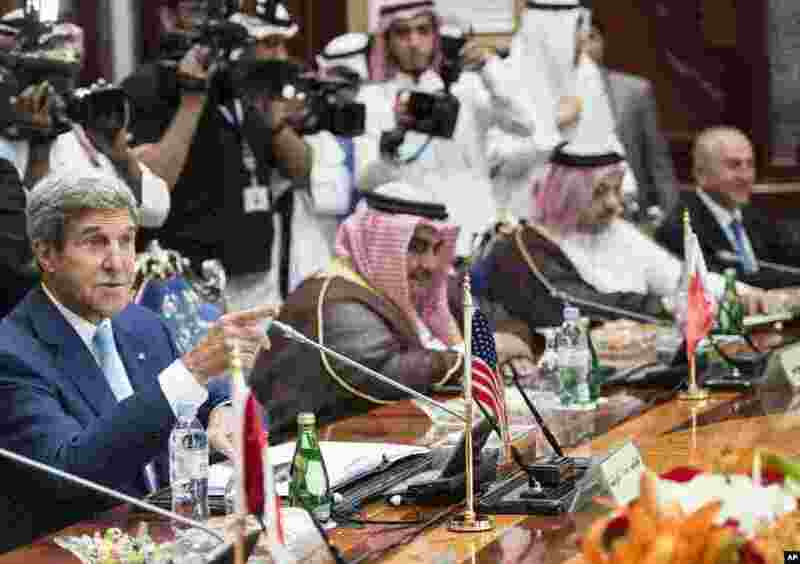 5 U.S. Secretary of State John Kerry talks with attendees before a meeting of the Gulf Arab region, in Jeddah, Saudi Arabia, Sept. 11, 2014. 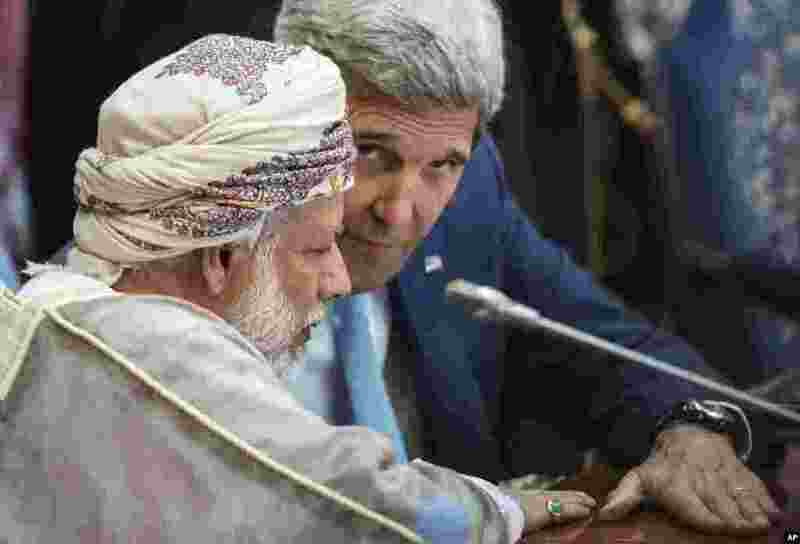 6 Oman's Foreign Minister Yusuf bin Alawi bin Abdullah and U.S. Secretary of State John Kerry talk before a meeting of the Gulf Arab region, Jeddah, Saudi Arabia, Sept. 11, 2014. 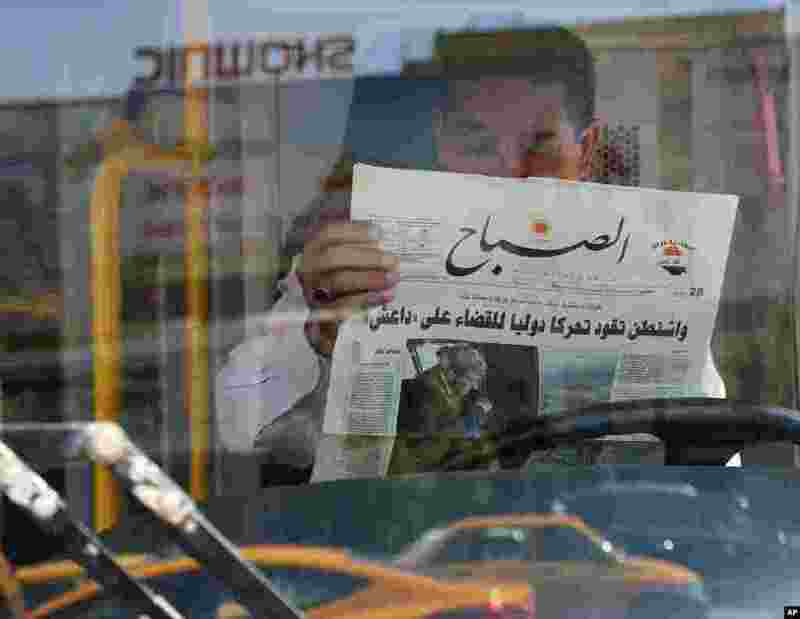 7 An Iraqi man reads a newspaper with front page headlines reporting U.S. President Barack Obama's plan to battle Islamic State militants in Baghdad, Sept. 11, 2014.